Five in a Row - Shine Up that Brightness! I’m submitting, for your consideration, a different scenario, asking first the question, “What makes a child bright?” Isn’t what makes a child “bright” his wonderful powers of observation and thirst for the answers to absolutely everything in the universe? Of course reading and the rest of the 3R’s are certainly tools to help in the future quest for knowledge but there is a point when each child is ready for such lessons. For some children it might be older four, but often for others it is five and for a few, even six or more! Just because a child is observing and inquisitive and excruciatingly excited about the world around him, doesn’t necessarily mean the time is right to begin his formal education! 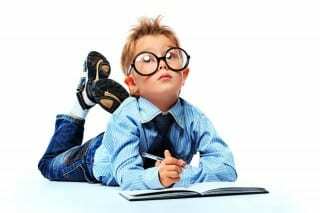 Unfortunately many parents who push a very young child into academics before his time find that their child’s “brightness” has fled, along with his desire to enjoy studies. It has been my experience that a child who is self driven is exactly that-SELF driven. He is one of the very few who practically teaches himself to read, who, left to his own devices keeps little notebooks with childish drawings of hundreds of different bugs, who listens to someone playing music and figures out how to play by himself with little help. Yet, in our original scenario most three year olds don’t beg for lessons-there is no child interest, it’s just what the parents think they should do. camping, and listening to varieties of music. Think about a three year old with a loving, patient father’s time, learning to put a worm on a hook and catching that little fish! Oh rapture! Oh joy! Oh hugs! Even if there are no fish to be had that day, the fact that dad gives his important time to a small person is just as wonderful! I think it means much more to the wee children than their performing some recitations. In all these ways and more, let’s give these young ones as much treasure of variety as we can find and they will embrace all the opportunities to learn vast amounts of knowledge-even before they learn to read. These are the things that will truly intrigue them and cause them to shine even brighter! When their maturity levels and physical levels are ready for the academics, they will joyfully go up like Roman candles and those candles can shine with a light that is truly bright! Thank you for this!! My daughter is almost 4 and LOVES books and asks for lessons and I forget that there are so many lessons out there that do not involve “formal” education! I need to encourage the natural curiosity and become more creative with what “lesson” can be! We are new to FIAR and we are loving B4FIAR! This is exactly what I needed to hear! My son will be 5 in June and his preschool teacher suggested moving him back to the 3 year old class because he is “not at the same learning level” as the other kids. He is not interested in writing letters or numbers, he just likes to play and do art. We decided to take him out and work with him at home (We had already decided to homeschool in the fall for kindergarten) but I was still worried that he was not where he was supposed to be developmentally. Your post means so much to me and solidifies for me that I shouldn’t rush it and that he will “take off” when he’s ready. Thank you! Oh hello Jane our wise woman. I’m sooooooooooooooo soooooooooo greatful you and Steve tucked me under your wings when we took the SCARY step to homeschool – gulp 15 years ago (where has that time gone).. Your words are sooo wise and I am soo greatful i listened to them and that we used FIAR as intented, gentle morning lessons of FIAR and book work (math, spelling) and spent the afternoons outdoors and exploring the world and nature around us. – Going gently with academics when young, meant when the real book work hits in the teens our kids were not burnt out and have both done amazingly well. FIAR WORKS! I am so happy that I discovered FIAR, through a dear friend. I know it was divine intervention. My eldest is super bright (all my kids are), but he went to school for a year and it was a disaster! He is exactly what you spoke of; has books with sketches of his favourite dinosaurs, always digging for fossels, can recite whatever story he hears that peaks his interest. He wants to know how the universe works and at school he was made to sit for hours on end and do boring stuff! He was not interested in letters or numbers and they were really concerned about him. Thank the Lord, I was moved to Home School in my heart. There is nothing wrong with my boy. He just loves life. So sad when I think that he went a whole year like that. I then tried to replicate school at home. So silly. So thank you FIAR for articles like this that remind us of what childhood is really about. Won’t be making those mistakes with my other children.